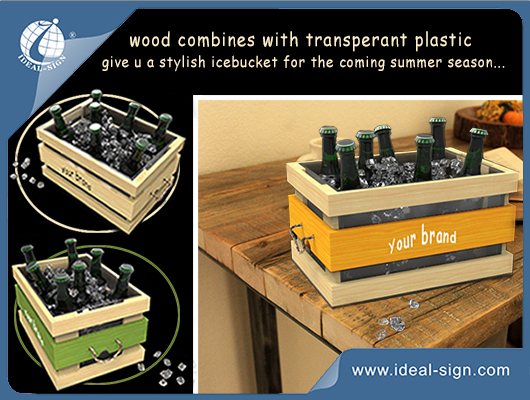 This is a non-illuminated ice bucket made of wood combining transparent plastic. Simple while stylish, logos could be painted on the wood layer. Sizes could be customized with MOQ only 200pcs. With the handle ropes on both sides, and it’s easy to handle to any parties and gathering. Just take this plastic wine bucket to anywhere needing cool your wine and beers, the double layer style and also brand name will catch people’s attentions.